Are our current Sunday school programs effective in reaching today’s children with the gospel and equipping them for a life-long faith? Whether you are a pastor in the pulpit or a parent leading family devotions, you want your listeners to be engaged and revived by the truth. Does God both bless and condemn marriages between close relations? Do snakes really eat dust like Genesis says? Do Genesis 10 and 11 contradict each other about the origin of nations and people groups? 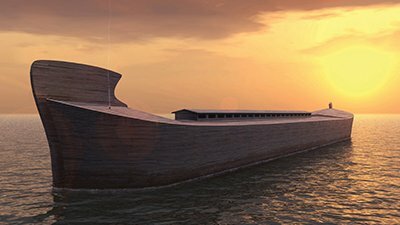 Does Genesis 1 teach the sky was solid like some critics claim? What does the original Hebrew say? Does the Bible really say that Jesus is both God and man? Gary Vaterlaus explores the issue. In the Time magazine cover article (March 22, 2007), “The Case for Teaching the Bible,” author David Van Biema argues for teaching the Bible in public schools. The Ark had only one door to pass through to escape God’s terrible judgment.